Are You looking for a new challenge within development of global IT structures? 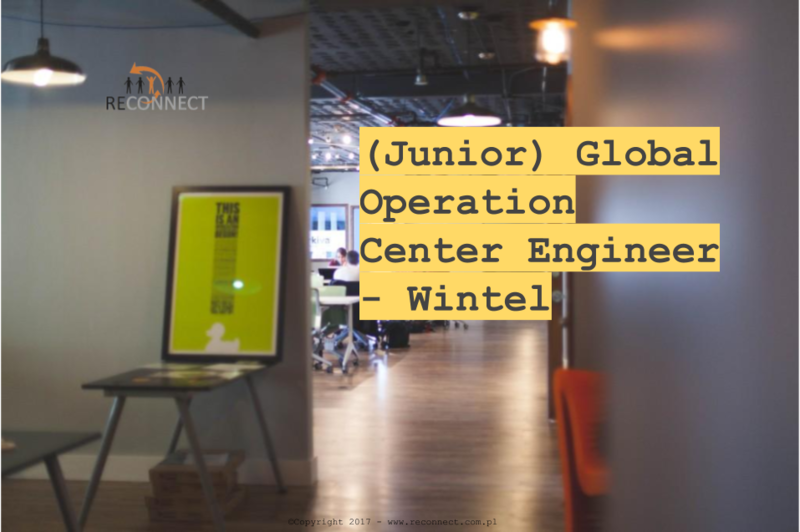 Maybe this job as (Junior) Global Operation Center Engineer – Wintel in Poland, Krakow is for You! This role will be part of the GSSC Global Operation Center which is a new function being built up to be the control center of all Infrastructure services that GSSC delivers, securing everything is working as expected by working closely with the monitoring solutions as well as being the interface to the customers for incidents, requests and changes. In this role you will provide operational support for all GSSC Infrastructure services globally, managing requests, incidents and acting on monitoring alerts in close collaboration with the internal teams as well as external partners. In close collaborating with internal technical teams and customers as well as external strategic partners, you will increase the quality and efficiency for the GSSC DC infrastructure. Participate in escalation calls for critical incidents. General experience with following Microsoft solutions: Active Directory, Skype for Business, MS Exchange, MS SQL, Windows 2008/2012/2016 server. Knowledge of Azure will be an asset. About 0,5 -1,5 year (or more) of experience handling operational related tasks and some troubleshooting within mentioned technologies in the IT Infrastructure area. The ideal candidate should possess analytical and communication skills and be able to communicate information consistently with target receiver. The candidate must be disciplined, dynamic and flexible to manage multiple operational tasks, work effectively in a rapidly changing environment. ITIL practices understanding is a plus. Profound communication skills to build relationships with stakeholders in a global organization. Candidates with experience working in a global corporation preferable.